The 500 Startups Japan crew is going independent. The VC firm announced a $30 million fund in 2015, and now the follow-up is a new $45 million fund called Coral Capital. 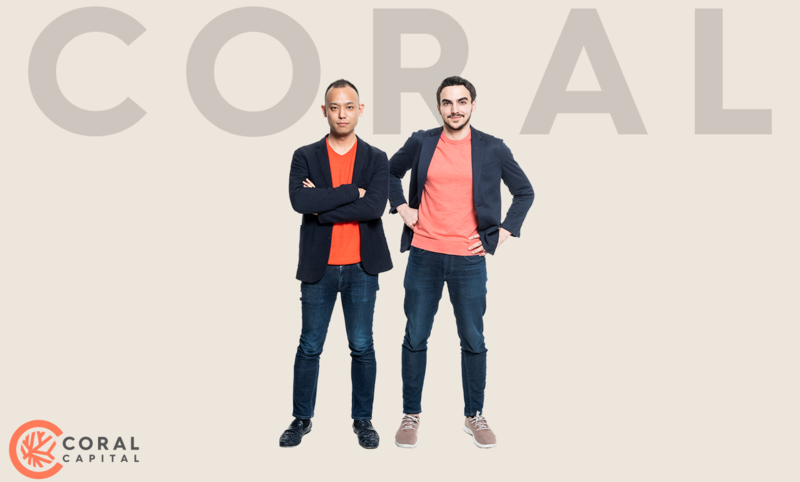 Helmed by James Riney and Yohei Sawayama, just like 500 Startups Japan, Coral will essentially continue the work the U.S. firm made in Japan, where it made more than 40 investments, including Kakehashi, satellite startup Infostellar, SmartHR and Pocket Concierge, which was acquired by American Express. “Coral provides a foundational role within the marine ecosystem, it’s symbolic about how we want to be in the Japanese startup ecosystem,” Riney told TechCrunch in an interview. LPs in the fund include 500 Startups backers Mizuho Bank, Mitsubishi Estate and Taizo Son — the brother of SoftBank CEO Masayoshi Son and founder of Mistletoe — and Shinsei Bank, as well as other undisclosed institutional investors, who Riney said account for nearly half of the LPs. Riney said the fund was closed within two and a half months of fundraising and Coral had to turn some prospective investors away due to the overall interest shown. Riney said that the scandals around 500 Startups — founding partner Dave McClure resigned in 2017 after admitting he’d been a “creep” around women — “wasn’t really a strong consideration” for starting Coral. “It’s something we’d been wanting to do for a while,” he explained. Riney explained that Coral won’t mix in with 500 Startups Japan investments, and the team will continue to manage that portfolio whilst also running the fund. Thesis-wise, the plan is to continue on from 500 Startups Japan, which means going after early-stage deals across the board. Riney said that over the last four years, he’s seen more founders leave stable jobs and start companies, which bodes well for Japan’s startup ecosystem. He sees the arrival of Coral as an opportunity to continue to push startup culture in Japan, a country known for massive corporations and company jobs with an absence of early-stage capital options for founders. “There’s a lot of work we can do and the impact we can make in Japan is much higher than in somewhere like Silicon Valley,” Riney said. “Pretty much every corporate has a startup program, but few of them are strong leads within seed or early-stage deals, they tend to feel more comfortable in later-stage investments. There have been investors investing on behalf of corporations who got the courage to spin out and go alone… but it is still much much fewer than other countries,” he added.